A faster, more efficient, and easier way to communicate today is through text messaging. I find that you often see people texting each other on their iPhones, iPads, or other devices just about everywhere you go. It makes sense why. A text message is short and quick to send and demands less preparation time. Also, if the other person is online at the same time, you can text back and forth and have a short conversation. 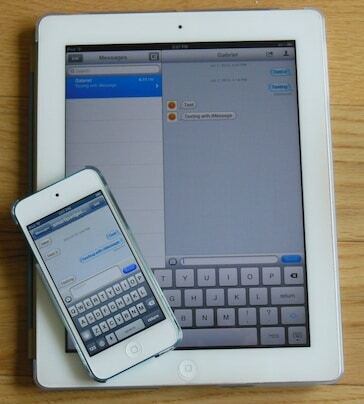 iMessage lets you exchange text messages (and pictures!) for free between iOS devices (iPad, iPhone and iPod touch) as well as Mac computers (running OS X Mountain Lion). 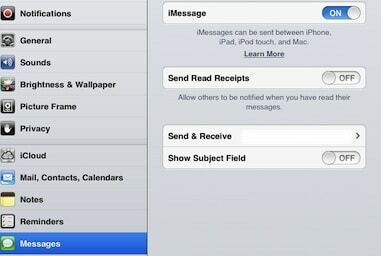 On this post, I will cover how to set up iMessage on iPad and its basic usage. 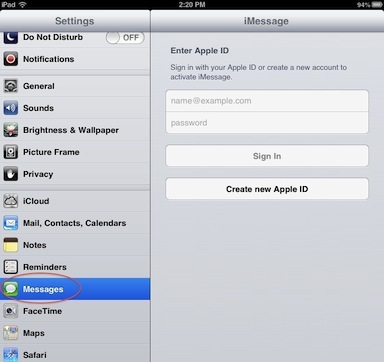 iMessage requires you to sign in using your Apple ID. Check the following post if you are not sure if you have an Apple ID or if you need to create one. Enter your Apple ID email and password and then tap on “Sign In”. Your email address associated with your Apple ID is displayed. Tap on next to continue. Once logged in, you can change the iMessage settings by turning iMessage on and off, configuring read receipts, adding a secondary email address and enabling/disabling the Subject field. The “To:” field appears. 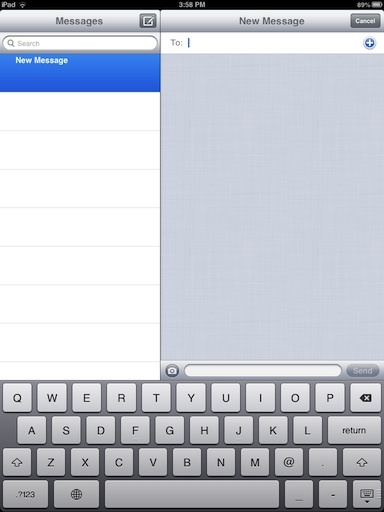 Here you can enter an email address or a phone number and tap on “return” on your keyboard. 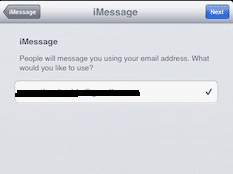 If the email address or phone number is not registered with iMessage, you will see a red circle with an exclamation mark. After entering the proper email or phone number, tap on the text field (below), type your message and tap Send. Your text message will be delivered to the other person. You can take a picture or shoot a video on the fly and send it out, or you can choose an existing picture to be sent. Tap on the camera button and select between “Take Photo or Video” or “Choose Existing”. If your wife, relative or friend has an iPhone, iPod touch or iPad, it is very easy to set up iMessage and incorporate it into your daily life. Give iMessage a try and let me know how it goes by posting a comment using the form below.